Who isn’t looking for ways to spend less and save money? Sometimes a small investment pays off with nice returns on the dollar. If you’re ready to save more of your money, check out these three common purchases you can make today to get started and simplify your life. For a few hundred dollars you can purchase a DVR to record all of your favorite shows and movies. These are not your mama’s VCRs. With DVR technology, you won’t need videotapes; you can set it to record an entire series and it will even search for your favorite shows! You also can quit those constant costly trips to the video store to rent movies – this saves you money on gas and rental fees, not to mention dreaded late fees. You can stay cozy in your own home and still be entertained. An energy efficient showerhead is a very reasonably priced purchase you can make for your home that will definitely save you money over time. Using a low-flow showerhead, an average American family can save up to 10,000 gallons of water per year, which translates into big savings on water and energy bills. That’s a lot less water going through the water heater, too. Buy a model with a shut off valve on the showerhead to stop flow while you lather up and save even more. In case you’re wondering, your shower experience won’t be diminished at all by using this money saving device, so get thee to the home improvement store. 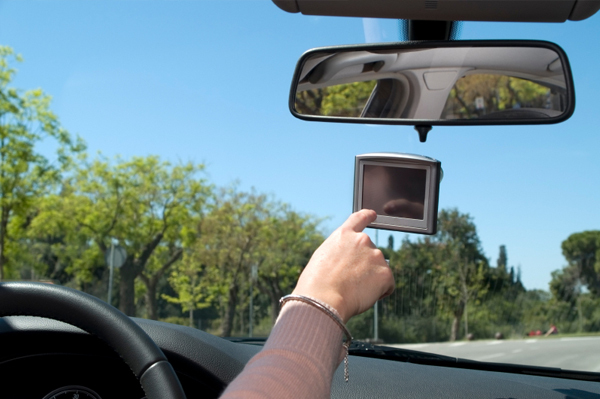 Invest one or two hundred dollars in a good GPS for your car and save money. A GPS will find the shortest route between two places and save you gas money. You won’t be as likely to get lost and waste your precious time and fuel wandering around aimlessly or backtracking. The GPS also may be used to find restaurants, hotels, and more so you can shop around before even putting the car in gear. Just punch in your destination and make a beeline!